See the full Brainless lyrics from Eminem. 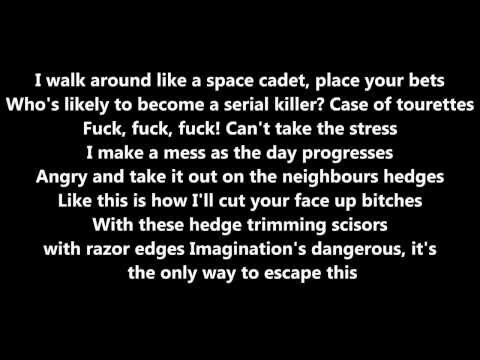 Brainless lyrics belongs on the album The Marshall Mathers LP 2. Learn every word of your favourite song and get the meaning or start your own concert tonight :-). Rate this song's lyrics. Uploaded by Vania. Use it for personal and educational purposes only. Listen to these sick beats by Eminem. "Who can say it for sure? society will reap a great benefit." Case of Tourettes, f***, f***-f***! They stomped me into the mud [gee] for what reason? You motherf***in' "Insert insult here"